Asked by Cooper Hewitt to come up with a visitor technology that emphasized play and spoke to the specificities of a design museum, the concept for the Pen originated from Local Projects working with Diller Scofidio + Renfro. 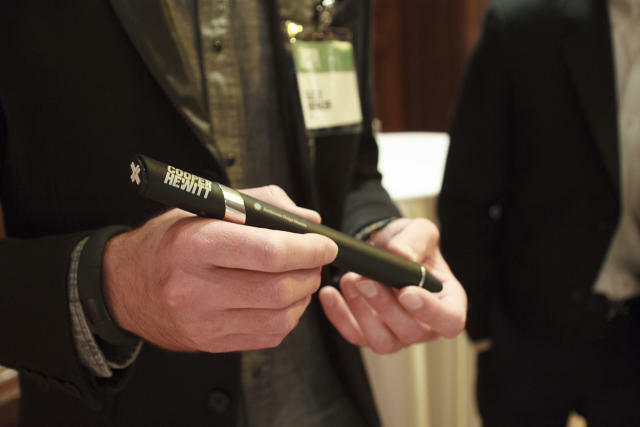 The Pen was pitched as a way to invite visitors to learn about design by designing themselves. Beyond working as a tool for drawing, it would encourage visitors to engage with the works on view in the museum, rather than looking at them through the small screen of the more traditional approach of a ‘museum App’. The Pen combines two main technologies. 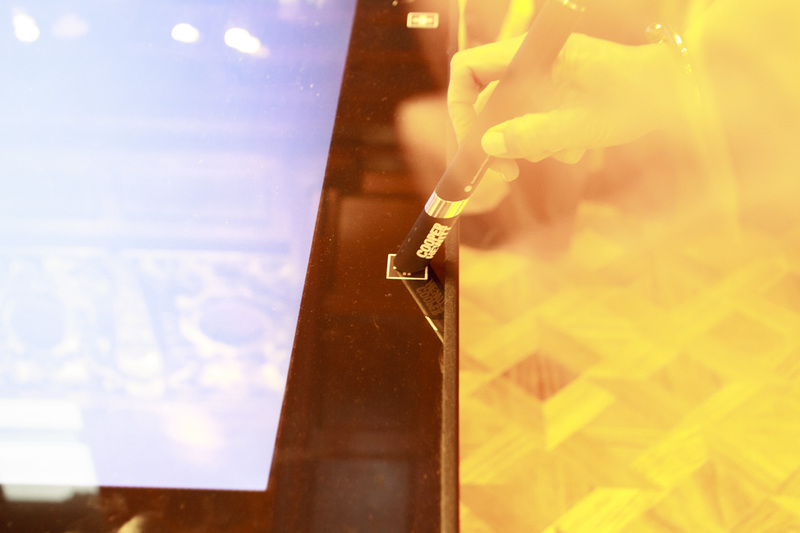 Its interface with the interactive tables employs the sort of conductive materials common to touchscreen styli. Its interface with the object labels employs near-field communication technology. A sensor in the end of the Pen reads the information on small NFC tags embedded in the object labels. This information is stored in the Pen’s onboard memory and can be read at the interactive tables. Using the large, ultra-high-definition screens on tables designed byIdeum, visitors may explore and manipulate the objects they have collected, discover related objects in Cooper Hewitt’s collection, retrieve contextual information, learn more about designers, design processes and materials, watch and share videos and even sketch their own designs. The Pen embodies the very ideas that Cooper Hewitt conveys to visitors. Like so many of the objects in the museum’s galleries, it is the product of a collaborative, international industrial design process, exemplifying how designers solve real-world problems. Only a fraction of the entire museum’s collection can be displayed at any given time, and the pen is a way to bridge the divide between the physical collection on display in the museum and the digital collection that exists online. As of the reopening, only 726 objects are on display in the museum, but the online collection spans more than 188,000 objects. Interactive digital tables within the galleries recommend related works not on display, and bookmarking objects with the pen gives visitors a reason to visit the online collection after they leave. As a piece of experience design, the pen was created to be a “quiet” device—one that wouldn’t attract too much attention. It’s not another screen, or an app on your phone. And because everyone knows how to use a pen, it’s not hard to figure out what to do with it.